“Modernisation” is the mantra of the current Russian leadership. Both President Medvedev and Prime Minister Putin, albeit in somewhat different language, stress that modernisation is critical to Russia’s future both as a post-hydrocarbon economy and as a competitive state player on the global scene. They describe modernisation as essential to make Russia receptive for investment and entrepreneurship. In recent months, this goal has taken on tones of more than policy priority, but of actual urgency. "There is no question that talented young Russians are compatible with modernisation, but there is a basic issue whether modernisation is compatible – or even tolerable – within today’s Russia"
For this discussion, “modernisation” may be understood to mean the ability and willingness to adapt to (or even embrace) contemporary ways of doing things in a global context, with the object of adding value to any particular field of human endeavor. It need not be limited to technical or business innovation, although that is the focus of Russian policy. There is no question that talented young Russians are compatible with modernisation, but there is a basic issue whether modernisation is compatible – or even tolerable – within today’s Russia as a political, economic and social system. Increasingly, those who are Russian and modern live and work outside of Russia the country, or wish to. While many modern Russians maintain a foothold in their motherland, they increasingly see their futures – and those of their children – abroad. This is not just because the opportunities in other countries are so many and so enticing (even when they may be), but that the obstacles to innovation in almost any field within the current Russian state are so many and so high. Much, probably most, of Russia’s young talent has not lost a sense of national and cultural identity. What they suffer (and the word is not too strong) is an enforced alienation of Russian identity when conjoined with the modern from Russia the place under its pre-modern system. Alienation of various kinds is hardly new to the Russian experience; it is, indeed, a recurrent theme in Russian literature. Today’s alienation combines the pull of the modern from abroad with the push of the repressive and pre-modern from within. The resulting dilemmas are redolent of the Decembrists of the early Nineteenth Century, but on a much larger scale. The consequence may be that Russia as a creative and modern culture will come to exist more in a diaspora than among the outmoded institutions of Russia the place. The physical centerpiece of the Russian government’s modernization policy lies in the Moscow suburb of Skolkovo, where the Kremlin is sponsoring a “Russian Silicon Valley”. To this end, President Medvedev visited California’s Silicon Valley last year, where he met with some of the many young Russians employed there. One expat Russian techie asked his President a key question: did he understand that Silicon Valley is not a place, but rather a state of mind? Whether Medvedev got the point, there is little indication the broader Russian ruling elite does. For example, the Kremlin discovered that the innovation- and enterprise-friendly character of the Skolkovo project would violate numerous Russian laws and, so, rescinded a package of over fifty federal statutes – but did so only for Skolkovo. All the anti-innovation and anti-entrepreneurial legislation remains in effect across the vast breadth of the Russian Federation, including Moscow, just not for a comparative pinprick on the map. The state of mind behind the Skolkovo project is actually rather emblematic of the problem. Top-down, centrally-planned, command-style modernisation, it is an approach suited to extensive development (using more resources to achieve growth), not for intensive development (using fewer resources more effectively to achieve better growth). The Soviet economy never fully made the vital transition from extensive to intensive development, resulting in fantastic levels of waste of energy, raw materials and labor... and especially of talent. Even though the Soviet Union demonstrated impressive achievements in nuclear energy, space flight and a few other fields by massing resources and talent on narrow projects (sometimes under forced labor conditions), the result was an economy defined more by its ultimate systemic failures than by its isolated achievements. 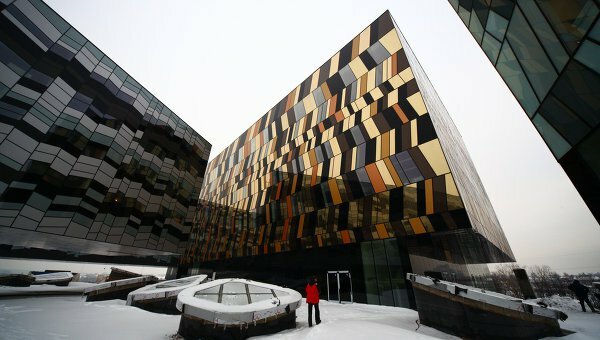 Skolkovo is advertised by the Kremlin as the antithesis of the old way of doing things and as an incubus for further modernisation programs across the country. Critics on the other hand see Skolkovo as a means to ring-fence technical innovation in Russia for state-directed purposes. One experienced observer of the Russian scene describes the project as a “closed city of the Twenty-First Century.” When two Russian-born Nobel prize-winners were offered the chance to participate at Skolkovo, they declined in caustic terms. There is no indication the Kremlin understood why. Human capital, like any other kind, produces positive returns only if creatively employed and allowed productive opportunities. Like financial capital, the human kind in today’s world is mobile; it goes where rewards are highest. In addition, human capital – talent – goes where it finds most respect, for humans are motivated by non-tangible rewards (what economists call “psychic income”) as much as by money. In this regard, the Russian leaders have their priorities backwards: they encourage foreign business to invest in Russia (more or less) but effectively encourage their own talented young people to move in the other direction. It is an irony that Russia’s loss of talent is the direct result of the new freedoms which Russians enjoy. These freedoms are largely personal rather than political, but are genuine freedoms nonetheless. (Many Americans and Europeans would argue that to separate political from personal freedoms is a false distinction, but we do not live in Russia.) To anyone with experience of the Soviet Union, the contrast in Russia today is striking. To a considerable extent, Russians can believe and read what they like, speak what they like so long as the speech is personal rather than political, choose their way of life and of work and, above all, choose where to live, both within Russia and beyond. This opening to the outside world is perhaps the most important break with the past, as it creates an openness unknown in Russian history. The freedom to travel abroad was tightly controlled by both tsars and commissars and is today the clearest proof that the country is truly post-Soviet. Russians have used their new-found freedom to travel and to move to an extraordinary extent. One of the great under-recognised migrations of our time has been the largely voluntary movements of peoples within, among and beyond the borders of the old Soviet Union. Some of this migration involved family unification and a search for religious or political liberty, but most was driven by the desire for better economic opportunities, which is another way of saying it sought better returns on human capital. It is difficult to say how many people have left Russia in the past twenty years, but the scale is very large. Even allowing for those who later returned and for those many who maintain one foot in Russia and one abroad, Russia has lost at least five percent of its total population to migration. And figures from recent times are particularly shocking. Sergei Stepashin of the Russian Audit Chamber has estimated the country lost one and a quarter million people (nearly one percent of the total) to out migration in just the past three years. Another Russian expert has estimated that four million Russians have “green card” equivalent status in Europe or North America (which would allow them to complete their migration at will); that Russians have purchased one and a half million residences in Europe in recent years; and that the number of Russian families who send their children abroad to study is in six figures. It is not unusual to hear of Russian families who send their sons abroad to avoid conscription into the Russian Army, knowing they then can never return. Major cities in America today have post-Soviet Russian communities in the tens of thousands, and some in six figures. This is not the old Brighton Beach “little Odessa” diaspora, but a new and highly educated generation who prefer Fifth and Madison Avenues to the shores of Brooklyn. Numerous as they are in the United States, Russians are now almost ubiquitous in western Europe. The best known are the Russian new rich, the oligarchs and such, with their dominance of London top-end real estate and Riviera yachting. Beyond these flashy parvenus is the real migration, the many thousands of Russians establishing productive new lives for themselves and their families across the European Union. In only a generation, Russians have become a normal part of European middle class daily life. “Just as young Americans and Europeans follow their interests across borders, so do Russians. For them all, lifestyle issues are important. It is clearly difficult to imagine Skolkovo as “cool"
While the rate of loss has probably slowed somewhat, there is no reason to expect it to end or reverse itself anytime soon. A recent Russian poll indicated that, while one fifth of the total population would like to migrate, the number rises to nearly forty percent among younger people and nearly thirty percent among the well educated. While only a small portion of those indicating a wish to leave are likely actually to do so, the constraint may be more in their difficulty in obtaining entry visas to promising foreign countries than in the seriousness of their frustrations with their own. The large blue-collar migration into Russia from other parts of the former Soviet space, especially Central Asia, may compensate for some of the numerical loss, but not for the loss of high-quality human capital. The key point is not the numbers but the quality of the loss. The out migration has been dominated by younger, more talented and more ambitious people (voluntary migrations, of course, usually are). By some estimates, Russians are second only to Indians as the largest foreign-born component of Silicon Valley’s high-tech work force. Just as young Americans and Europeans follow their interests across borders, so do Russians. For them all, lifestyle issues are important. It is clearly difficult to imagine Skolkovo as “cool”. Whether the United States and its allies “won” the Cold War can be debated, but they certainly have won the human spoils. For decades after the Second World War, American universities were immeasurably enriched by the talent which fled Europe in the Thirties and Forties. Today, these institutions and their venture capital offshoots host the skills and ambitions of young Russians (and others). In the same way that America reaped a huge harvest of talent from continental Europe after the failed revolutions of 1848, America and Europe are vastly richer for the hundreds of thousands of young people educated at Soviet and Russian expense now contributing to our prosperity. For Russia, in contrast, this is not a mere “brain drain,” it is a massive cerebral hemorrhage with huge economic and social implications. The cost is all the greater as it does not represent a one-time loss but a continuing liability, as the children of these migrants and their progeny afterwards will be lost to the mother country. Indeed, one of the most powerful imperatives for young people to leave Russia is the desire that their children grow up in a different political and social environment. It is common to encounter migrants who themselves might feel more comfortable back in Russia, but want something better for their children. Much of Russia’s political and economic elite has made a similar choice for their children who are sent abroad for schooling, often at a quite early age. One can argue this is merely a matter of giving their offspring the best preparation for their future lives in Russia, but many of these parents must know full well that a Western education in the broad sense is no preparation at all for contentment in today’s Russia, and may be even less so in the future. A counter-argument is that the Russians abroad, both migrants and students, will serve as a “bridge” between Russia and the West, and provide a “feedback loop” for new and competitive ideas and standards which will alter Russia inevitably for the better. Perhaps, but similar hopes in previous generations and centuries were not fulfilled. In any case, the feedback is largely limited to Moscow and a few other urban centers. What a Western experience and lifestyle will emphasise to the children of Russia’s elites is how different they are from the mass of their countrymen, and may thereby perpetuate the alienation of rulers from ruled which has been a curse of modern Russian history. The aristocrats who brought home French and German ways and the Bolsheviks who imported an alien ideology did not succeed in unifying Russian society along “modern” lines; rather they cleaved the nation between privileged modern elites and disenfranchised backward masses. The intensity of the Western experience of younger Russian elites today and their desire to maintain an international and cosmopolitan identity may also prove dysfunctional at home. As a new generation of Russians educated abroad returns (for those who do), what basis will they have to communicate or even empathise with the majority of their countrymen who have struggled with the grim realities of Soviet and post-Soviet life? If anything, the condescension and alienation of this new generation of “golden youth” toward the narod could prove even worse than that of the Tsarist nobility and Soviet nomenklatura. There is yet another brain drain affecting Russia, although not so well recognized as the loss of talent abroad. This is the ever increasing concentration of the remaining talent pool in a handful of large urban areas (in particular, Moscow and St Petersburg). For centuries Russia has been disproportionately polarised around its capital, with talent and ambition seeking the opportunity which only “the Center” could provide. Russia is not unique as an over-centralised country, but it is certainly one of the most extreme. 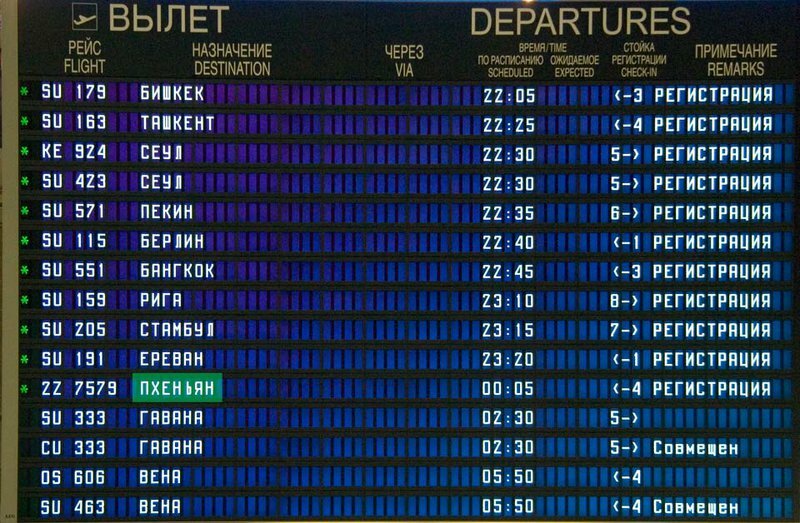 Freedom of movement within post-Soviet Russia has produced some startling results. The most recent census has revealed almost 20,000 previously-inhabited villages with no population at all and 36,000 villages with fewer than ten people (usually elderly). Smaller towns and medium-sized cities also show massive loss, much greater than the overall population decline due to low fertility and premature mortality. The nearly 500 so-called “monocities” — towns with a single industrial employer — are proving unviable without massive state subsidies. The inhabitants are moving away from Soviet planning failures towards somewhere with the promise of employment and a better life. That often means Moscow. Russia is not a compact country. Unlike Ireland or Greece, which can concentrate a third of the national population in one urban area without endangering the integrity of the national domain, Russia needs many smaller cities — links in a chain across multiple time zones. The focus today on an extraction economy – and especially on oil and gas – does not provide a competitive economic basis for the breadth of habitation which Russia will need to maintain its territorial integrity. Worse, the draining of regional talent toward Moscow and abroad leaves cities and towns across Russia with only a residue of the human capital which any functioning urban area requires. Based on their public statements in recent years, neither Medvedev nor Putin are at all blind to the challenges facing their country. Indeed, in the past decade the Kremlin has if anything been repetitious in ordaining supposed solutions. To be fair, the legacy of seven decades of bad Soviet policies is a burden beyond the capacity of the most perfect political leadership. 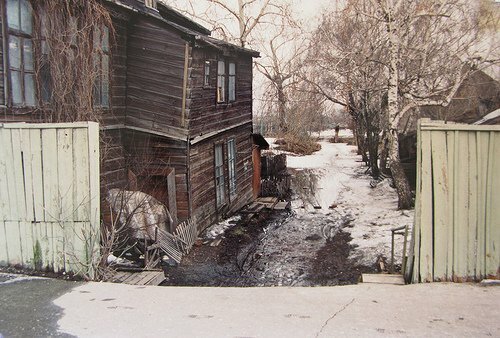 The issues outlined in this article represent a small fraction of the Soviet curse in industrial and agricultural backwardness, poor and decaying infrastructure, eviscerated civil society, rampant corruption, environmental depredation, and, worst of all, the combined crises of demographics and health unknown in peacetime elsewhere. The massive loss of talent to the West and the resultant depletion of talent beyond a few urban centers represent only facets of the broader crisis of post-Soviet Russia, but facets which compound other problems and hinder effective solutions. All human progress depends on human talent; hence, the loss of so much of this vital capacity through Russia’s outward and internal migrations is a problem deserving of special consideration. But while the solution they present is modernisation, it is a modernisation with peculiar characteristics. They have prescribed it shall be state sponsored and directed, tightly limited in scope and flexibility, and defined in terms of what it can and should produce for the state, rather than allowing it to find its own purposes and potential. In short, it is modernisation likely to attract second- or third-order talent, but not Russia’s best. In a globalised world, Russians in many fields have shown themselves able to compete with the world’s finest. Why should they then commit themselves to a project like Skolkovo rather than move to the real Silicon Valley or the equivalent in whatever may be their field? Some of Russia’s rulers may regret opening up Russia to the world, but the damage is already done. And closing the borders is no longer a possible solution. An attempt to do so would provoke a massive wave of departures, with little hope of attracting any to return, and it would guarantee that those with one foot in and one foot out will opt for out. The impact on the morale of those remaining, deprived of travel abroad, would be devastating. Instead, the only solution is to make Russia more attractive for talent other than with figleaf measures like Skolkovo. As a start, the Kremlin should extend the project’s special legal regime and tax relief schemes to the country as a whole. Then there is the issue of tackling long overdue issues of rule of law, corruption, and political accountability. There will always be a Russia and always Russians of talent and genius willing to do their best within their own country. Russian identity is strongly attached to the place itself, to the land and forests and rivers and even climate. The giants of its literature were not inventing nor exaggerating the mystical link of Russian identity with place. However, Russia today also needs to be modern, because isolation from the contemporary world holds no solutions. Small countries, say Burma or North Korea, can attempt a hermit approach, Russia cannot. Herein lies the dilemma and the challenge: increasingly, to be Russian and modern is to be detached from Russia the place. Russia has produced emigrations in the past, but none of the size and with the abilities of the new diaspora. There is already more Russian human capital in some foreign cities than in many a city in Russia. The prospect is that creative Russia may live more in exile than at home, as Poles and Armenians did for generations. Such a model would be unfortunate, even tragic, but it will happen if the Russian state decides to remain pre-modern in its attitudes and practices. The ruling elite of the country itself needs to opt for modernisation at the top, not from the top, to embrace the modern themselves. Such an internal migration to the modern is the only way for Russia to avoid the continuing loss of its best and ultimately, perhaps, the vitality of its national identity.